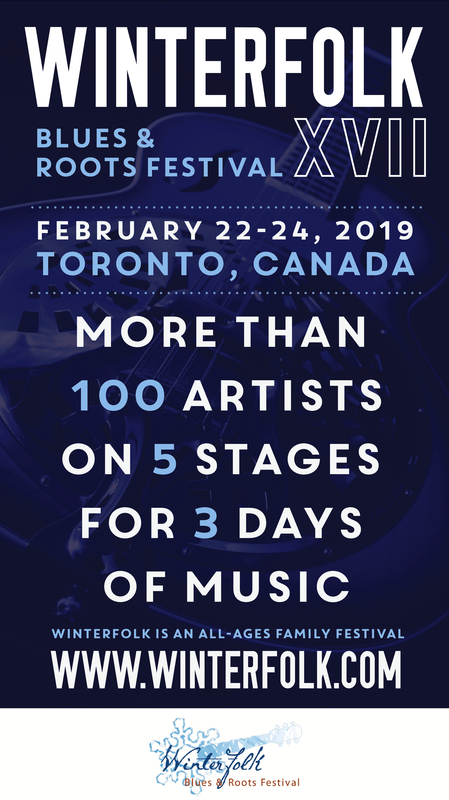 With its return to venues located on Danforth Ave. near Broadview in east Toronto, the Winterfolk Blues & Roots Festival is poised to once again be the place to be for live music during the forthcoming Valentines Day weekend. After a two-year experiment of holding the three-nights-and-two-days event in a downtown hotel, this year’s Winterfolk XII will return to a “club crawl” format incorporating five rooms in four venues located within a stones’ throw of one another. Fifty “headline” acts were named yesterday but with a several “community stages” offering a variety of acts and the likelihood of additional artists being booked should bring the total number of performers to somewhere around 150 acts taking part in about 100 free shows and four paid concerts/events. Included in the highlights of the weekend is the festival’s first-ever awards ceremony, a songwriting workshop with Brent Titcomb and Lynn Miles, a cd release event, a memorial tribute to the late Rick Fielding and an Honouring Our Own show put on by Pete Otis’s SongTown toasting Juno-winning guitarist, arranger and composer Tony Quarrington. Community stage events include multi-artist shows put on by The Spirit of Yorkville, a group that is planning to present a massive festival honouring the iconic “Village” era of Toronto music, a SongTown showcase and presentations by Oakville’s Moonshine Café and the Acoustic Harvest concert group. Headliners include a disparate group representing a variety of Roots/Folk and Blues-related genres, including two-time Juno winner Jack deKeyzer, Ron Hynes, Jason Fowler, Marianne Girard, Nashville’s Mean Mary, Ginger St. James, Grainne Ryan, Random Order and Maneli Jamal along with a raft of festival veterans such as Peter Verity, Sebastian Agnello and, of course, festival founder and festival executive director Brian Gladstone. Tickets to the four paid shows are now available on the festival’s site, as is a preliminary schedule of the shows taking place on two stages at Black Swan Tavern as well as at Globe Bistro, Terri O’s and Dora Keogh. 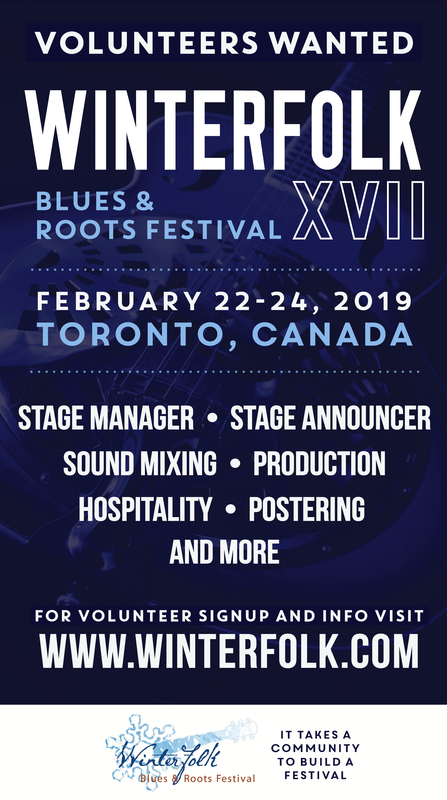 The festival, btw, is also still looking for volunteers to do a variety of functions, from stage managing, emceeing, sound and lighting, door greeting, merch sales and more. Volunteers, who can apply through the festival’s website, get access to all shows, to the artists’ lounge and an exclusive pre-festival launch party.